Hakim Ziyech is about to miss the match with Tunisia that is scheduled for next Tuesday. The midfielder got some knee problems after the match with Cameroon and has decided to return to Amsterdam early. Ziyech does not want to take any risk, because there are some important matches ahead with Ajax. Next week Ajax will face AEK. In Athens, Ajax can make sure they hibernate in the Champions League. 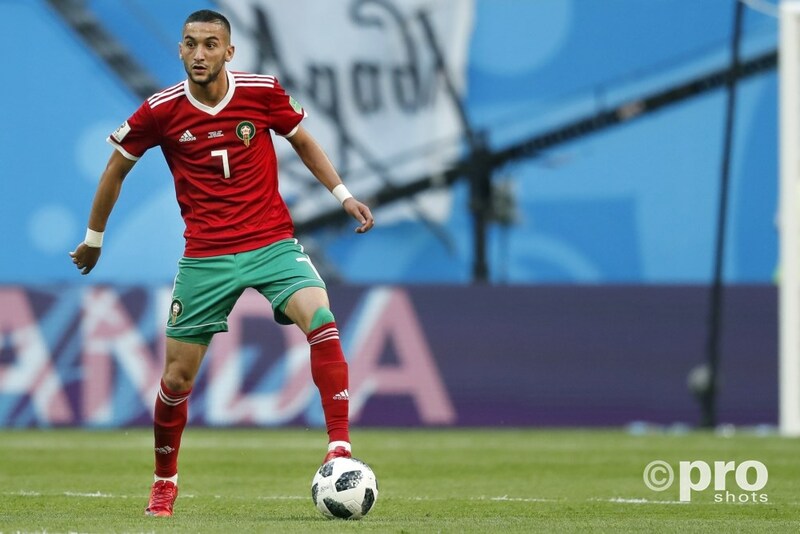 In the match with Cameroon, Ziyech was extremely valuable. He scored both Moroccan goals, which secured Morocco of playing the Africa Cup next year.